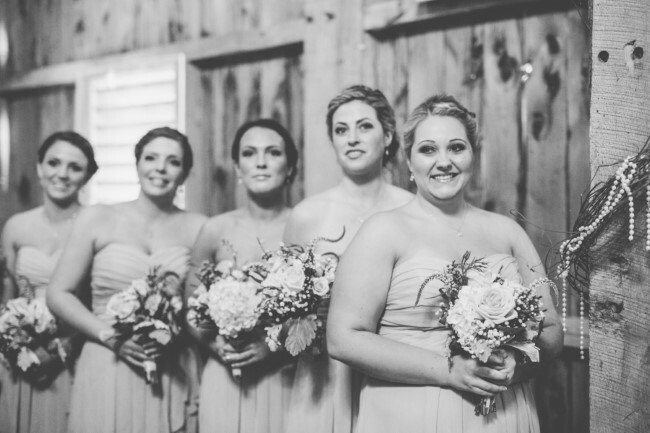 Looking to get married in a barn setting near Ohio? 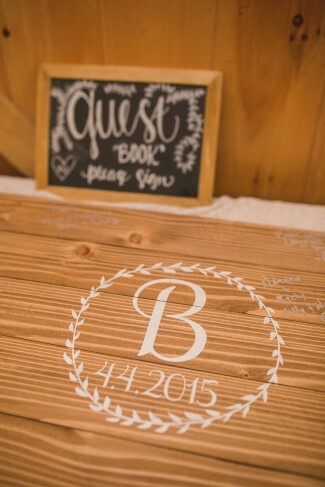 Today’s barn wedding at Rivercrest Farm provides inspiration for a unique rustic wedding with a touch of elegance. 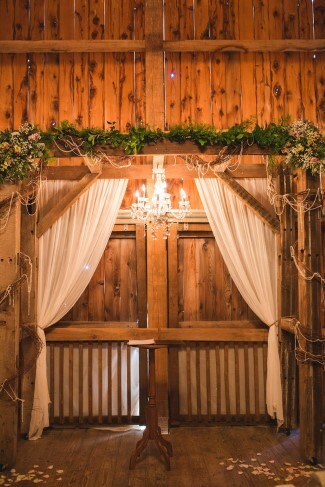 A bride and her bridesmaids in cowboy boots provide the rustic vibe, while a brilliant chandelier hanging from the barn roof rafters lights up the barn space interior to provide an elegant appeal. 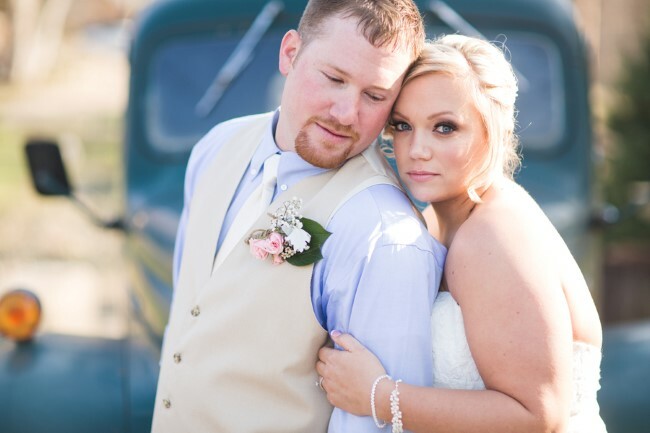 The light pink and blue color scheme that Stacey and Jeremiah chose for their fun looking wedding. The photo of the sign recognising important family members who have passed away. Add some family photos and it is a lovely touch. 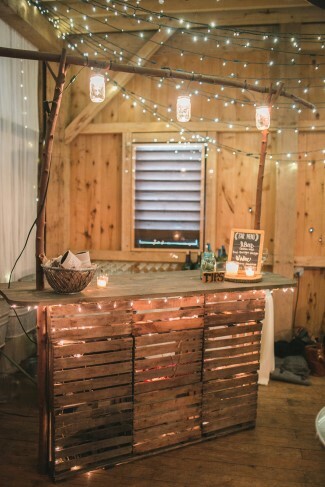 Love the wood slab center piece as much as we do? Then check out Rustic Wood Slices shop on Etsy to achieve a similar look. 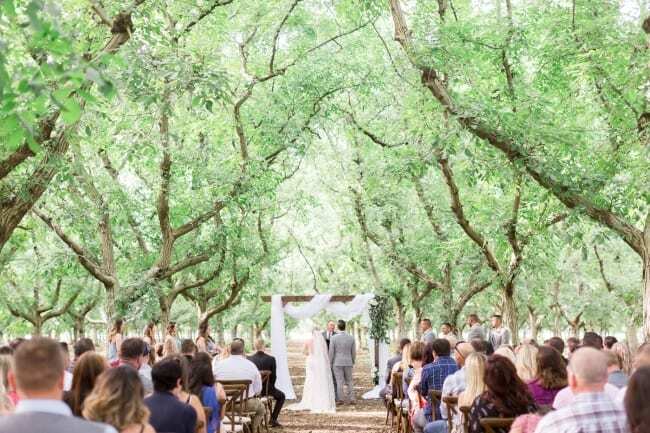 Remarks from the photographer: “As we pulled up to the venue it was a beautiful farm with horses, goats, roosters, pigs, and donkeys. 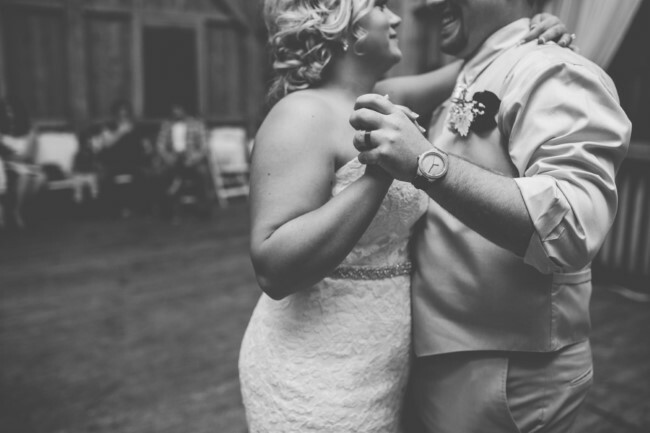 Sitting on the edge of Rivercrest Farm was a beautiful 100 year old barn that had been restored for weddings! “I new the day would be beautiful from the start. 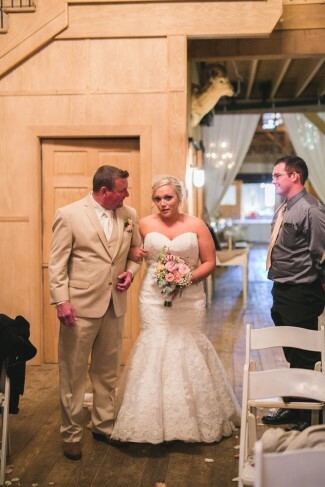 Stacey was beaming ear to ear and Jeremiah couldn’t wait to see his Bride. 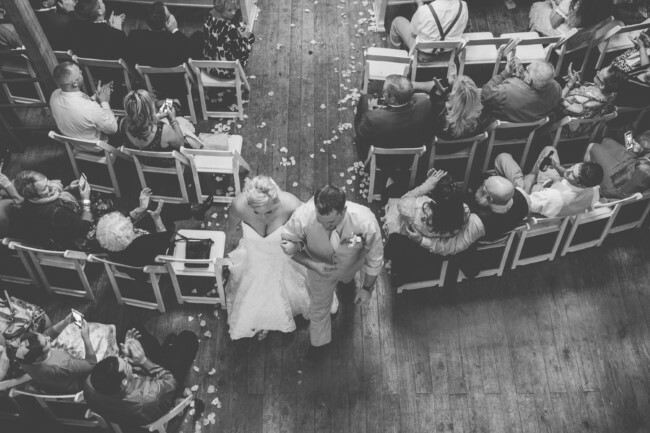 They shared a sweet first look with lots of tears. 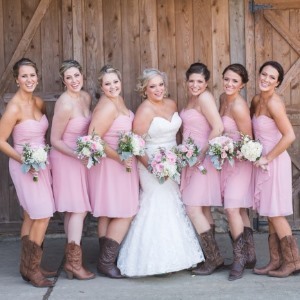 The bridesmaids wore blush dresses and adorable cowgirl boots. The bride herself had some blue cowgirls boots on for her something blue. The guys wore tan suit pants and light blue shirts. 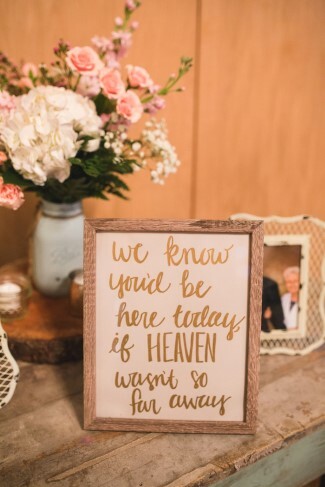 This wedding was simply beautiful!! Where did they get the ruffle tablecloths? 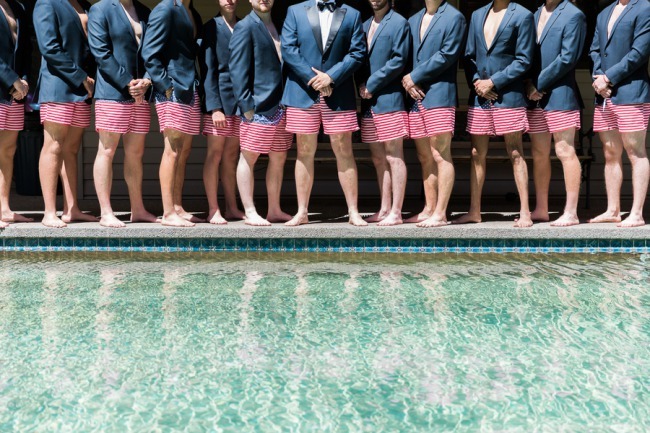 I really would like to purchase a few for my wedding in August. Congrats on your upcoming wedding! I hope all your planning is coming along smoothly. Aren’t those tablecloths unique? 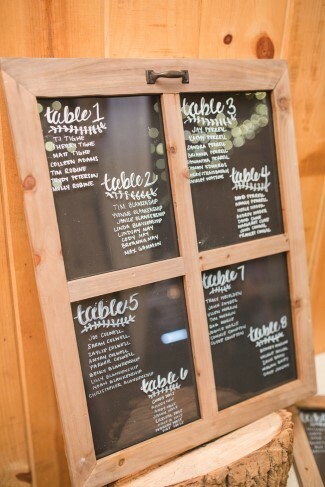 Perfect for a rustic wedding theme. 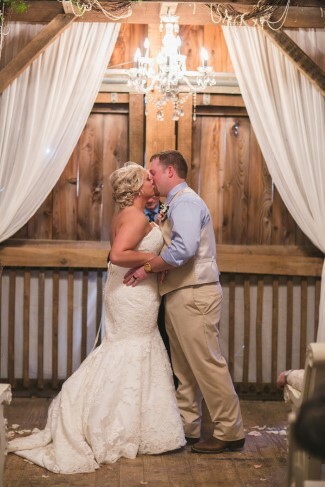 Check out Vow Wow Decor on Etsy they do custom sized Burlap Ruffle Tablecloths.